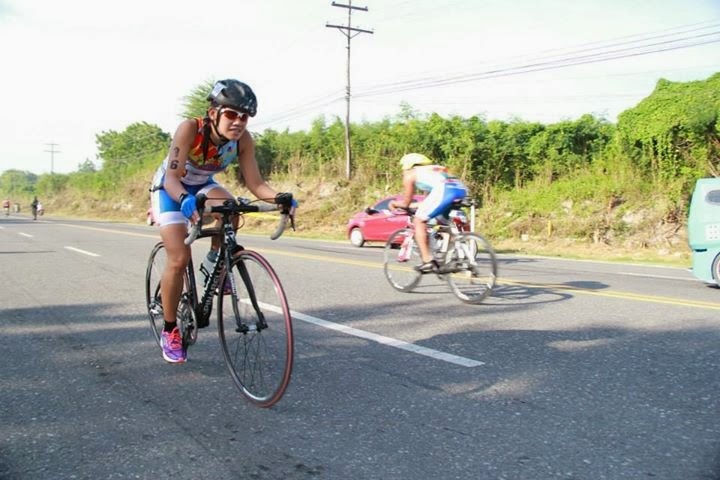 Triathlete is a multi – sport event that entails swimming, biking and running that must be done successively. It is quite a demanding sport. In fact, it is highly risky and demands rigorous trainings for all the events. 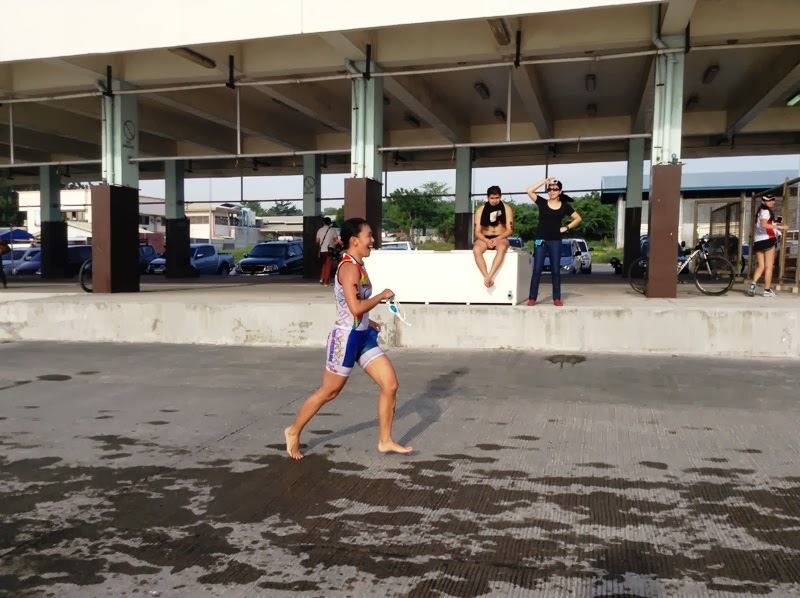 And if you are working like teaching, triathlon can be quite a torture. 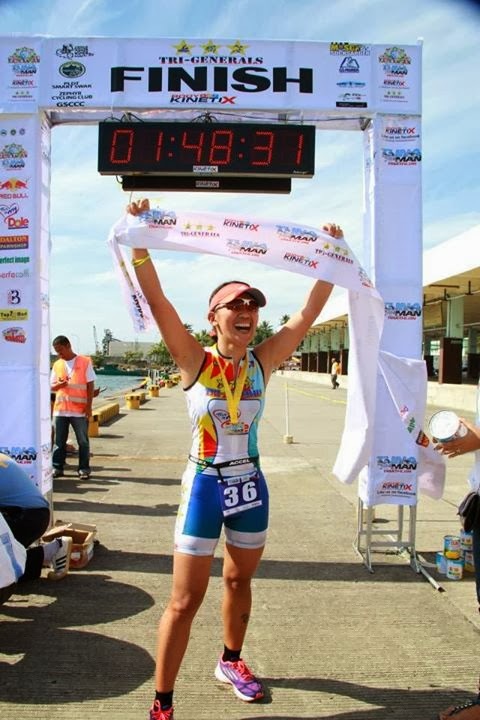 So, how can a teacher, wife, mother, and entrepreneur be a triathlete? Since my base sport is running, I have to work more on my biking and swimming skills. So, these require me to do biking in between runs in the morning and swimming in the evening. But, since I have fear for deep water, I have to also swim in deep pool for hours in the morning. My teaching hours would start around 730am and end by 600pm, thus, training would mean doing the events before and after work time. I am only glad my husband and kid train with me whenever they are free, so, the training becomes a bonding time too for the family. 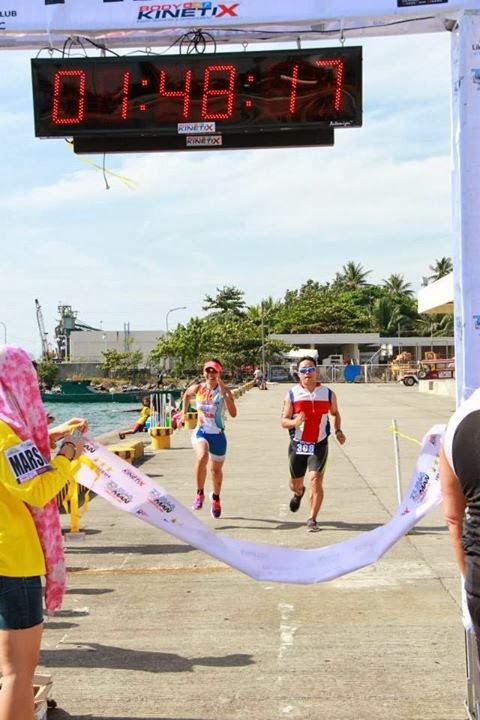 My novice triathlon of distance 400m swim, 10km bike and 3km run in Davao City landed me overall 3rd place in the women’s division and my recent triathlon race 3rd place in my age group. Somehow, I have overcome my fear for deep water but still I struggle. Further, I have difficulty biking on busy streets and off – road after breaking my right metatarsal on mountain bike. I still have to do more and since I am always budget constrained, triathlon is more difficult to go through. But, I guess one – two races a year would be enough and just complement these with marathons and ultramarathons in between.